Being involved in a vehicle collision is terrifying and traumatizing for everyone involved. Serious collisions may leave you or your loved ones with life-threatening injuries, traumatic stress and fatalities. The car insurance industry calculates that the average American driver will be involved in 3-4 car accidents throughout their lifetime. Types of motor vehicle collisions include fender-benders, road departure, rear-end collision, side collision, roll-over and head-on collision. Victims of a car accident will face often difficult recovery compounded by medical bills, losing transportation if the vehicle was totaled and the economic devastation of lost wages. An experienced car accident injury lawyer in Utah will help you deal with insurance companies and law enforcement while you concentrate on getting the best medical care possible. An exceptional personal injury lawyer will advise you of your legal options to protect you and your family’s financial and legal rights. 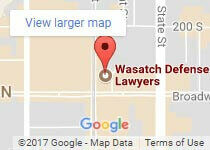 Wasatch Defense Attorneys understand the overwhelming circumstances you’re facing as a result of your devastating car accident. We have several decades of experience in the state of Utah and the skill and resources to help you seek justice and recover the maximum settlement possible to begin rebuilding your life. 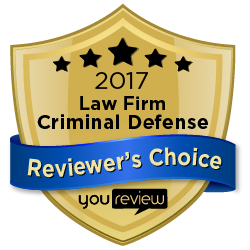 Give us a call today at 801-845-3509 for your free, no-obligation case review. Road Surface Conditions including snow, slush, ice, and rain have contributed to 81% of all motor vehicle accidents and 85% of fatal car crashes in Utah. Vehicle Collisions Involving Animals total approximately 3,300 according to the Utah DPS. While only 11% of these collisions involved hitting a pet like a dog or a cat and 85% involved hitting a wild animal. Car Crash Speed Factors in the total number of non-fatal car crashes approximately 73% of vehicles were going under the posted speed limit, while only 5% were traveling over the speed limit. The percentages for fatal car crash 42% were going under the speed limit with 23% traveling over the posted speed limit. Vehicles traveling over the speed limit were around five times more likely to be in a fatal motor-vehicle crash than those traveling the speed limit or under. 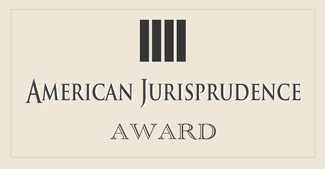 Why Should I Seek Legal Representation for My Car Accident Lawsuit? When you or someone you love is the victim of a vehicle accident, it is vital that you seek legal representation from an experienced car accident injury attorney to pursue legal action against the responsible party, determine where your case stands within the statute of limitations in Utah and what your case is worth. Hiring the personal injury advocates at Wasatch Defense Lawyers to answer all of your questions, ensure time-sensitive limitations do not expire and calculate economic and noneconomic damages, will ensure you are awarded the maximum settlement that you deserve. If you are unsure about where to turn for answers after you or a family member has been injured in a car accident, contact the caring and compassionate legal team at Wasatch Defense Lawyers to schedule your no-obligation consultation or call us today at 801-845-3509 to receive your free case review with one of our experienced personal injury advocates in Salt Lake City and surrounding areas. We proudly support our troops with an exclusive veteran discount for all of our legal services.